The Bizzarrini Manta was the starting point for one of the world's greatest auto design firms. And it was lost for almost a decade. This 1968 concept car was the starting point for what would become one of the world's most famous auto design firms, Italy's Ital Design. Just as amazing and bizarre as the car itself is the fact that it was lost -- as in just plain misplaced -- for almost a decade. 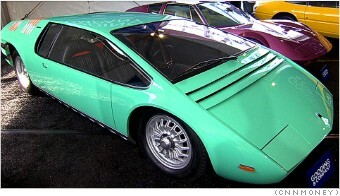 The Bizzarrini Manta was based on a race car, the Bizzarinni P538. Car designer Giorgetto Giugaro, who had worked for several Italian automakers and design houses, saw the retired racer as his chance to strike out on his own. To do that, new would need to create something that would really get attention.